Middle Eastern tensions rose significantly this past week. Last Wednesday saw American President Donald Trump deliver remarks in which he gave official recognition to Jerusalem as the capital of Israel. It was the first time an American administration had done this. The President also declared that the United States will transfer its own embassy to Jerusalem from Tel Aviv. This represented a precedent that changed the policy of the country which was established back in the mid 1990's. Jerusalem's status has been a major bone of contention between Israel and the Palestinians for many decades.The decision has stirred up anger throughout the Middle East and beyond to other Muslim nations. You have heard calls for another Palestinian uprising and articulated or veiled threats from various Islamic countries against both Israel and the United States. It is yet another geopolitical flash point that argues for you having gold in your investment and especially retirement portfolios. Gold is the best historically proven safeguard for your assets in times of chaos and instability. It protects against market turbulence in times of crisis. You should consider the top 5 gold coins for investors as well as the top 5 silver coins for investors now while there is still time. Today owning the yellow metal is easier than ever as you can even buy gold in monthly installments. The conflict is a matter of the two sides wanting essentially the same thing. On the one hand, Israel has always held that all of the city of Jerusalem is its historic and indivisible capital. At the same time, the Palestinians insist on having the the eastern section of the city for their own future political state's capital. Yet the eastern old city is the biggest prize of Jerusalem. This is because it holds key religious sites of the three major faiths of the Middle East. The Jewish people have their Western Wall that remains from the ancient Jewish Temple. The Muslims claim the seventh century Dome of the Rock mosque. Christians have the famed pilgrimage center in the Church of the Holy Sepulchre. Naturally the old city has become listed as a World Heritage site. The modern portion of Jerusalem is far larger. It boasts a population of approximately 1.2 million. Israel won control of East Jerusalem during the 1967 Middle East War. Yet the majority of nations today believe that East Jerusalem is occupied land whose fate must be settled in peace negotiations between Israelis and Palestinians. The move of the U.S. embassy to the city will represent the first such embassy located in Jerusalem. The Palestinian side fears that it amounts to an American recognition of all of Jerusalem as part of Israel. They had believed this would be decided in the peace process between Israelis and Palestinians. Angry reactions to President Trump's decision were swift in the Palestinian territories. The leader of the Palestinians Mahmoud Abbas issued a warning that “dangerous consequences” would result for both the Middle East and the entire world. Meanwhile the leader of the militant group Hamas in Lebanon called for a third Palestinian Intifada, or uprising, in response. Various Palestinian groups declared Friday would be “a day of rage.” The U.S. state department took the threats seriously. They banned all American government employees from undertaking any non essential travel to either the West Bank or the old city of Jerusalem. Hamas announced that two of its own fighters had subsequently died in the strikes. Further clashes erupted from demonstrations in both Gaza and the West Bank. Another two Palestinians died in the scuffles with soldiers from Israel while an additional several scores suffered injuries in protests that broke out. By Sunday an attack occurred on an Israeli security guard at one of the bus stations in Jerusalem. The Palestinian assailant stabbed him according to Reuters. Of potentially greater concern for world geopolitical stability, the reactions did not stop with the Palestinian territories. Throughout the upset Middle East and Muslim world, there were thousands of other protesters who began appearing in earnest on Friday and Saturday. They came out to show their support for the Palestinians and to express anger at the U.S. President's decision. Violence occurred at the protest near the U.S. Embassy in Beirut, Lebanon. The reactions from several important countries were noteworthy and raised concerns. As far away as Malaysia in Southeast Asia, the country declared that it was willing to dispatch armed forces to the city of Jerusalem. Close U.S. regional ally Saudi Arabia also responded with anger. They labeled the Washington decision “a flagrant provocation.” Analysts have said this may potentially impact the not so secret underground cooperation between Saudi Arabia and Israel against Iran in coming months. Turkey took its threats a step further, as their President Recep Erdogan hotly declared the present day status of Jerusalem to be a “red line for Muslims.” Erdogan has promised concrete action will be taken. This could include breaking off recently restored ties with Israel in the coming days. Turkey is waiting for an important visit from Russia's President Vladimir Putin to obtain his support for their diplomatic reprisal against the recognition of Jerusalem. Analysts will be watching this key meeting with great interest and concern. With the latest chaos breaking out throughout the Middle East, now is the time to obtain your share of gold to protect your retirement portfolio. You should know that all of the gold which has ever been unearthed would fit into a box that is only 21 meters cubed in size. Most of this is held today by central banks of various important nations in the world. There will not be enough of the yellow metal to go around if you wait until panicked investors start scooping it up. 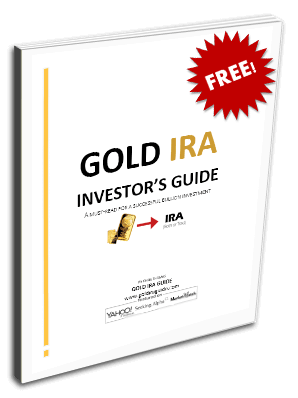 Now that you know why you need gold in your retirement portfolio, you should look into what IRA-approved gold you can obtain. Today you are even allowed to store your IRA-approved metals overseas. Consider the top 5 offshore storage locations for your gold IRA now.